Last week when the Crossroads staff gathered to pray - Darlene read to us before we prayed about the suffering and persecution that we see around the world. She asked the most challenging thing..."should we stop praying for God to end persecution? Because persecution comes when God's people are living for Him - when new people are coming to know Him. If we ask for persecution to stop, then in essence we're asking for God to stop working in the hearts of men." I thought about that all week - what a revolutionary way to think about what we see going on. We watch as men with an evil agenda think THEY are in control when it couldn't be more apparent that they are puppets of evil - playing out exactly what God said would happen when His people rise up and are willing to lay EVERYTHING on the line to lead others to Him. 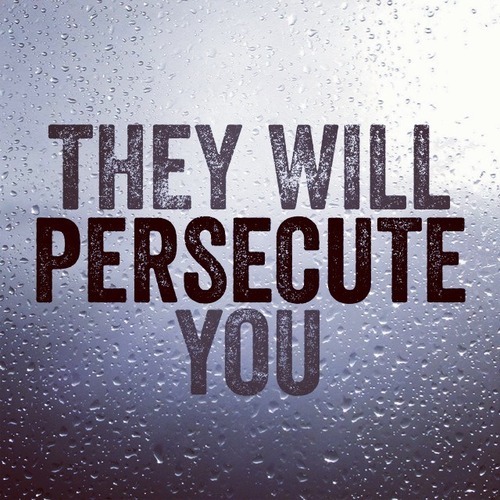 The persecuted believe with all their hearts that every person they can reach with the message of God is worth any personal risk. What an amazing testimony this is! Obviously we still need to ask for God to surround them with His Holy Spirit and presence so even as they face death, they know He is near. I have been appalled at what has been shown on TV and will not watch any of it. But, the other thing I can't get out of my mind is what Pastor Dave said in last weekend's message when he reminded us that in the book of Revelation God says in the last days we will be able to see what is happening around the world. That's amazing that in God's Word He describes our current ability to 'see' with the internet - although He obviously doesn't come out and say 'how' we'll be able to see. This should be extremely comforting knowing that none of this is a surprise to Almighty God and that He is indeed in control. The question we must ask ourselves then is - if persecution comes to places where God is moving in people's hearts, is that why America is still going about it's daily business - for the most part blind or unconcerned with what is happening around us as long as we're comfortable? Interesting to wrestle with and pray about. My personal prayer is for God to reveal His Glory through my life - to use me to lead others to Him, so much so that persecution holds no place of fear within me as I rest in Him.